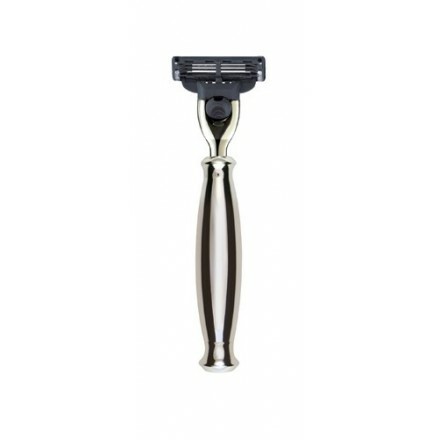 Elegant perfectly weighted razor with chrome plated handle. 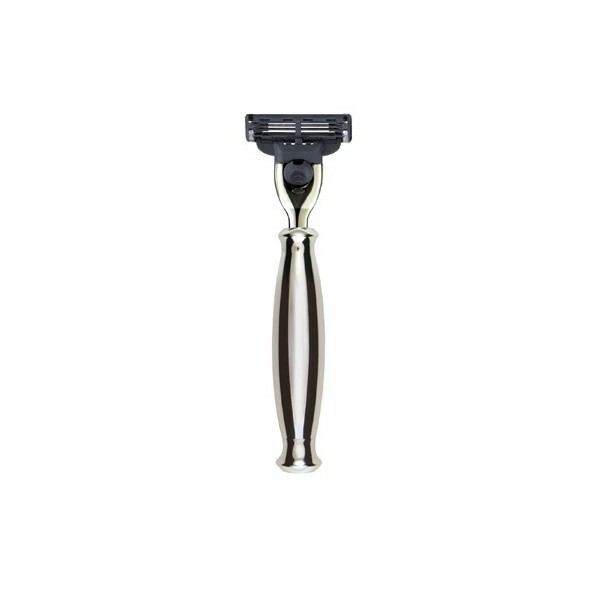 The refillable razors (Gillette Mach 3®) are hand assembled using lathe turned solid brass with Nickel and Chrome plated components highly polished for over 50 hours! Fits our chrome plated razor stand. Comes beautifully gift boxed.